Profit and Loss Statements need to be examined by anyone who makes a loan to a business because Profit and Loss Statements tell us a number of things about a business. This program will examine the questions that need to be answered when evaluating the information contained in Profit and Loss Statements. This program will examine cash flow that can be identified as part of a Profit and Loss Statement and how that cash flow can be used to determine repayment ability. Carl Young is an Author, Speaker, Trainer, Consultant, and Coach. He holds an MBA and completed graduate studies in Accounting and Taxation. He is a former CFO of a 275M, high growth technology-based company. He has over 25 years of senior-level business management experience. 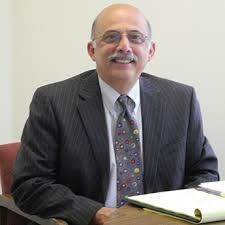 In addition, he has over 25 years of training experience in finance, accounting, and business management. He taught Accounting I at the University level for 15 years. Former CEO of his own small parts manufacturing company as well as former Senior Financial Associate of the major consulting firm. Carl is a member of the following organizations: American Society of Corporate Controllers, Council of Experts (investment firm Gersen & Lehrman), Society of Industry Leaders (sponsored by Standard & Poors), and the National Association of Accountants. Vincent DiCara has been involved in evaluating and meeting the credit needs of small and medium-sized businesses for over thirty years as a business advocate, lender, credit analyst, and trainer. Since 1995, he has been providing expert training for lending professionals throughout the country who work in the public, private non-profit, and private sectors. Mr. DiCara’s training programs have become known for their ability to foster an informal and participatory environment in which students are empowered to learn. Mr. DiCara was an owner and founder of Development Finance Training and Consulting, Inc. which he established in 2003. Upon leaving DFTC in early 2013, Mr. DiCara established DiCara Training and Consulting, LLC where he continues to provide the highest quality services to his clients in the banking, credit union, and economic development sectors. Ron Sereika has over twenty-five years in credit management in the clothing, door and window manufacturing, wine and now the medical device industry. He holds a BS in Accounting and has received his certification in credit and finance from the Amos Tuck business school at Dartmouth University. Ron has been an instructor for NACM for 18 years teaching both the CAP and ACAP classes helping over 150 credit people prepare for their credit designations. Ron is currently the Credit Manager at CooperVision Inc, a $2B Global medical device company. This bundled webinar will provide you a good sound working knowledge of financial statements and substantially enhance your ability to use them in the management of resources, improving the profits and productivity. This program will examine Profit And Loss Statements and look at ways that they inform us about businesses.